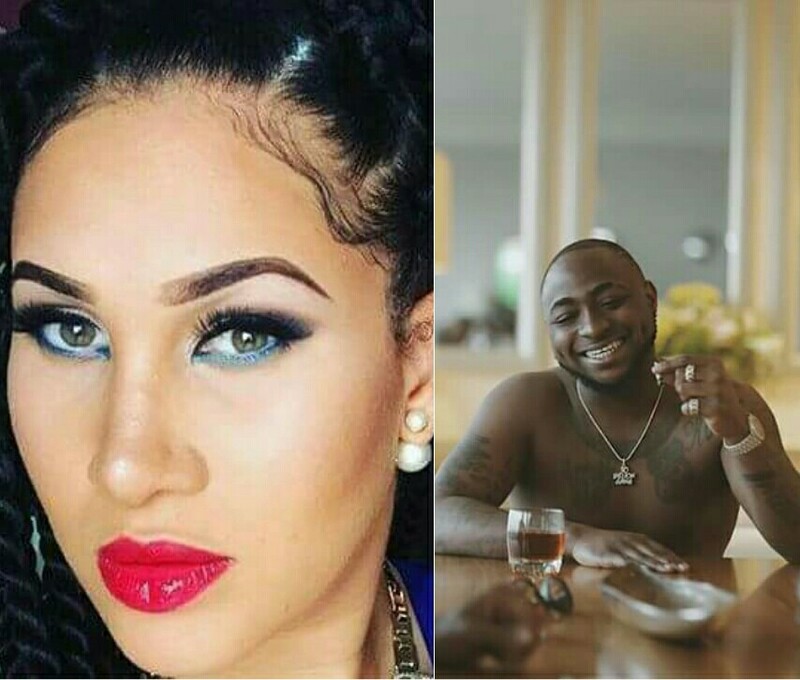 Carolyn Danjuma has accused superstar singer Davido of dumping the body of a young man, identified as Tagbo at the General Hospital in Lagos and running away after the man allegedly died in his car last night. In a now deleted post on Instagram, Danjuma wrote: “Davido where is Tagbo …. 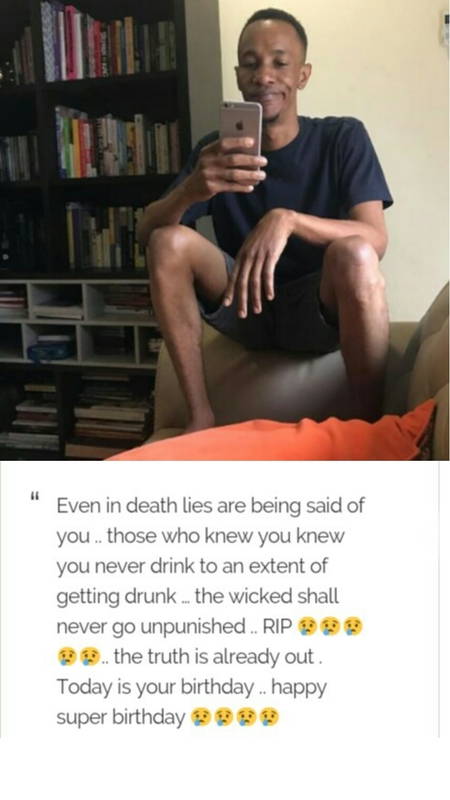 he was with you and ur crew last night … you all wore face cap to hide your identities after he died in ur car.. u dumped him at general hospital and ran away … the law must play its role this time .. you all better provide Tagbo alive .. @davidoofficial. Caroline Danjuma added that she warned Tag (Tagbo) against his association with the singer. “You gave your all .. when they needed ur assistance you were always there for them .. Tag you don’t deserve this .. this world is cruel .. I warned you but u were always acting mr nice ..now they labelled you an alcohol addict which is a big lie .. I won’t keep shut .. a glass of Henessy and cranberry gets u tipsy .. just a glass .. cool , calm and minding ur own biz was all you were .. all the lies they say now to cover up .. if only you could wake up and speak for urself .. I won’t keep shut …. only the wicked would act like it’s nothing … you called them your friend but they left you to die”, She wrote. 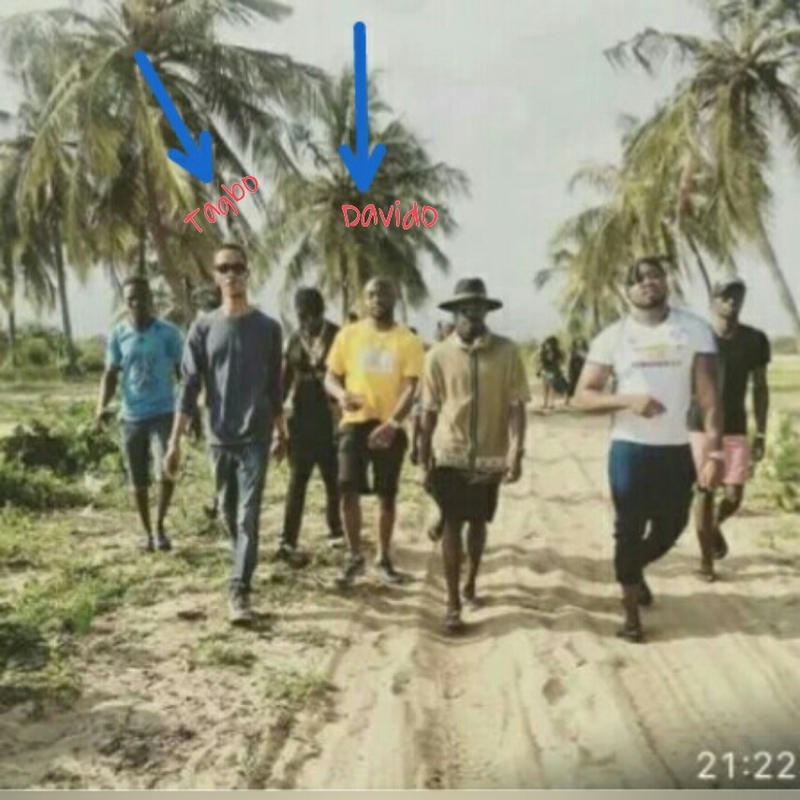 Carolyn further shared a photo of Tagbo with Davido and his crew walking together. Danjuma said she prayed for 8hours, asking that the hail stones with fire filled with blood consume the wicked. She wrote: “The wicked shall never go unpunished.. father I prayed for 8 hrs yesterday and called your name. No one is greater than you . No one is above you lord .. father fight this battle jealously .. let hail stones with fire filled with blood consume the wicked ..arise oh lord with all the host of heaven .. my prayer and my tears and all my energy will never go in vain .. all POWER on earth and in heaven belong to the almighty”. 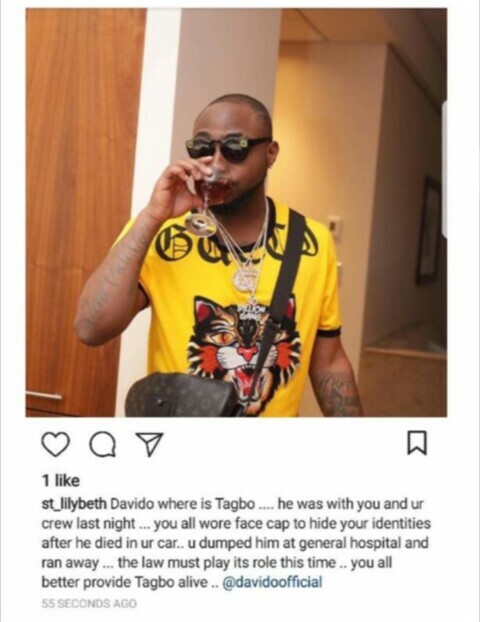 Next Next post: ‘This Is What I Get For Treating Everyone Like My Brother’ – Davido finally reacts to Tagbo’s death.